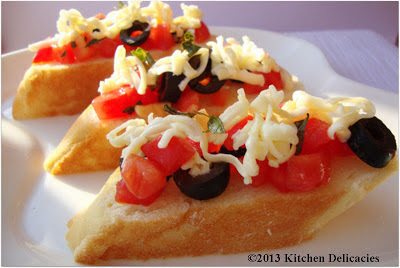 Lovely, easy and yummy dessert with heavenly combination of whipped cream and Strawberries..
A fresh and easy grilled bruschetta with ripe tomatoes and olives.. 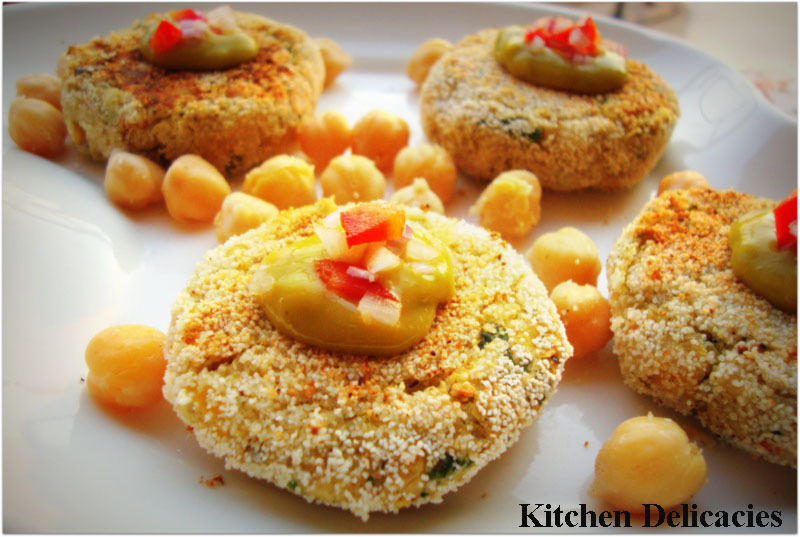 Spectacular and delicious Tikkis with protein rich Chick-peas. Heat the oil in a pan, add the cumin seeds and nigella seeds and allow the seeds to crackle. Add the onions, turmeric powder, garlic-ginger paste and green chillies and cook till the onions are tender. Add bhindi and all the other powder spices. Mix well. Stir-fry for 15 min or till cooked well. Add the curd and cook till dry out. Serve hot with parathas or chapatis. Grilled potatoes well combined with rich and yummy gravy, Delicious in every bite!!! Mix all the above ingredients together well and add all the potatoes and marinate them for 1 hour. Grill them in an oven at 180C for 20 minutes turning all the sides till golden brown or fry them on griddle with very little oil. Keep aside. Sauté the roughly chopped onions in a tsp of oil until the onions become translucent. Cool and puree with soaked cashews and melon seeds. Now heat a pan add oil and ginger garlic paste and sauté. Add onion-cashew paste and turmeric powder, red chili powder, and coriander powder. Cook till fat separates. Add pureed tomatoes. Add salt to taste and reqd. amount of water, cook on low flame until the mixture thickens. Now add the milk and let them cook for 1-2 minutes. Finally add the cooked potatoes along with garam masala, kasuri methi and sugar. Mix well and cook covered for few seconds. Garnish with chopped coriander leaves and Serve hot!!! Energy-laden and easy-to-make salad dish turns out very delightful…. Finely chop or grate beetroot and carrots in a bowl. Slightly roast sesame and sunflower seeds and keep aside. Mix other ingredients in the bowl and sprinkle with sesame seeds to serve. A scrumptious and healthy dessert is the perfect way to finish a family meal... !!! Heat the ghee in a pan add the oats and sauté on a medium flame for 5 to 7 minutes or till it releases flavour. Add the milk, water, dates and sugar, mix well and simmer till the sugar melts, while stirring continuously. Add almonds and cook for 5-7 min. Remove from the flame, add the mashed banana and mix well. Serve hot garnished with nuts. 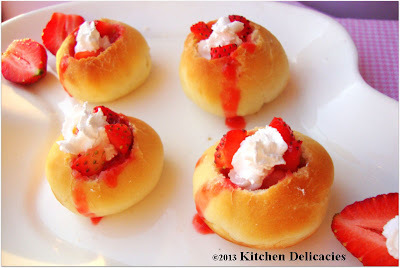 These little bites are perfect with a cup of tea, on-the-go and for the kid’s parties…. Sieve the flour and salt together. Rub butter into the flour with fingertips till a crumbly mixture. Now add sugar and tutti-frutti and mix again. Add little milk at a time and make cookie dough. Shape dough onto a rectangular block. Now cut small cubes of equal size. Insert toothpick in each cube and keep in fridge for 10 min. Bake into a preheated oven at 170 deg. for 12-15 min. In a pan, heat 2 tsp oil and add mustard seeds, after seeds start crackle add chilli and onions. Sauté for few seconds and turn off the flame. Mix in all the ingredients in a pan and mix well. Divide the mixture into equal portions and shape each portion into a round, flat cutlets. Spread little suji in a plate and coat cutlets with suji. Heat a non-stick tava (griddle) on a medium flame and grease it with oil and cook the tikkis, till both sides are golden brown in colour. Paneer and matar simmered in luscious gravy…. A must try recipe!!! Heat oil in pan; add cinnamon, cardamoms, cloves and bay leaf. Add grounded paste and all spices and cook about 7-8 min or till oil separates. Add peas and little hot water and cook till peas turn soft. Fry cottage cheese cubes in a non-stick pan with little oil or butter. Now add cottage cheese cubes to the gravy and cook covered for a min. Adjust consistency by adding hot water. Easy and delicious sandwich recipe with goodness of hummus and cucumber…. Combine the sesame seeds, garlic, lemon juice, curd, oil, salt and blend in a mixer to a smooth paste. Add the cooked chick peas and blend again till smooth. If the mixture is too thick, add 2 to 3 tbsp of the strained water and blend well. For sandwich, spread generous amount of hummus on a bread slice, layer cucumber and then sprinkle chilli flakes. Cover with other slice. Grill or enjoy as it is…. Remove seeds from guavas and grind with remaining ingredients into a smooth paste using little water. Heat oil in pan, add whole spices and sauté till they crackle. Add ginger and garlic, sauté for a min. Now add soaked channa dal and soya wadi and mix well. Cook for 1-2 min and keep aside to cool. Remove bay leaves. Now make a paste of above mixture and add in remaining ingredients. Make small tikkis from the mixture. Shallow fry them on medium heat until both sides turn golden brown. Serve hot with guava chutney or any of your choice. Yummy fancy mini pudding jars filled with healthy Oats, Chocolate cake and crunchy Oreo …. Mix all ingredients for oats pudding in a pan. Cook on medium heat while stirring continuously. Cook for 3-5 min till get desired consistency. Leave aside to cool. To layer pudding: evenly spread cake crumbs at bottom, add oat pudding and top with crush Oreo mixture. Repeat the layers and garnish with vermicelli or Oreo slice. Kitchen Delicacies. Powered by Blogger. An engineer by qualification, a cooking enthusiast by choice. The pleasure of cooking lies in preparing food which would bring out amazing tastes. And then there is a feeling of "creation". So here I am on my culinary journey, traveling into exotic flavors, and sharing that joy!